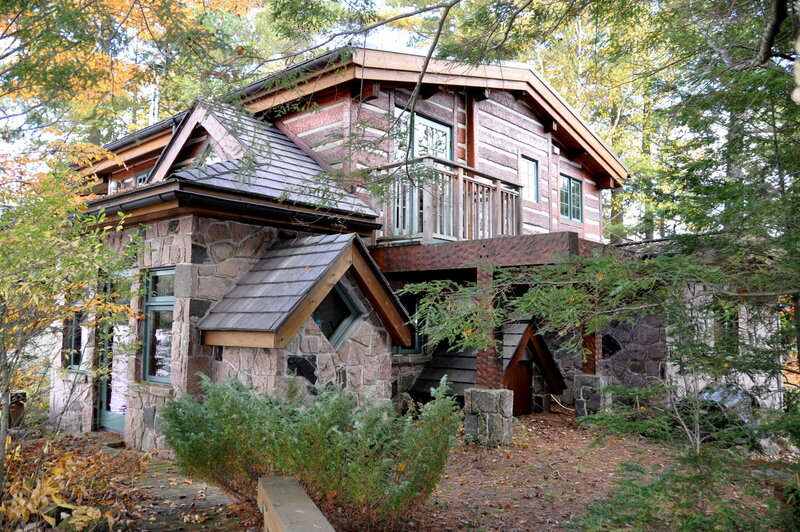 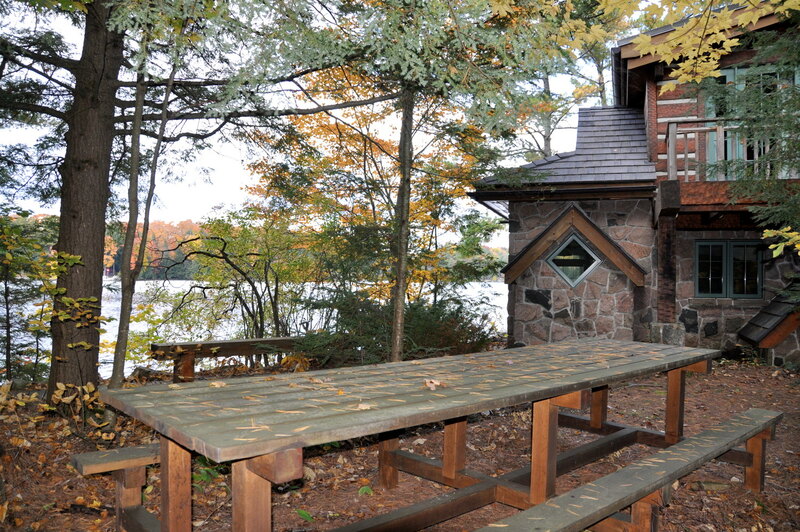 Here is a unique cottage that sits on a very private point of land. 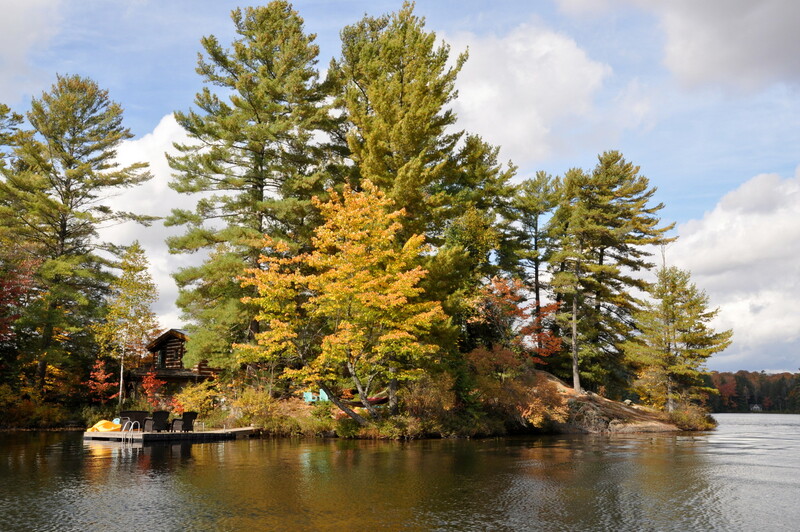 It's almost an island!! 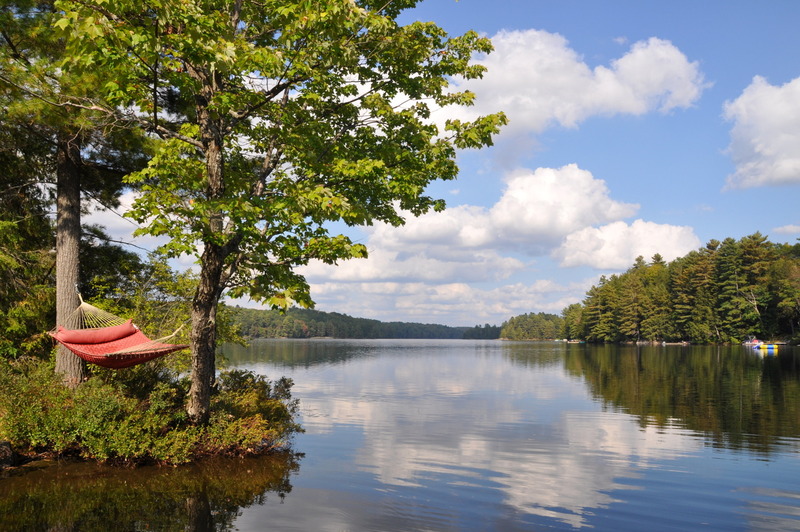 The point of land juts out from the shoreline on this beautiful lake to provide a tranquil setting with water surrounding you on three sides. 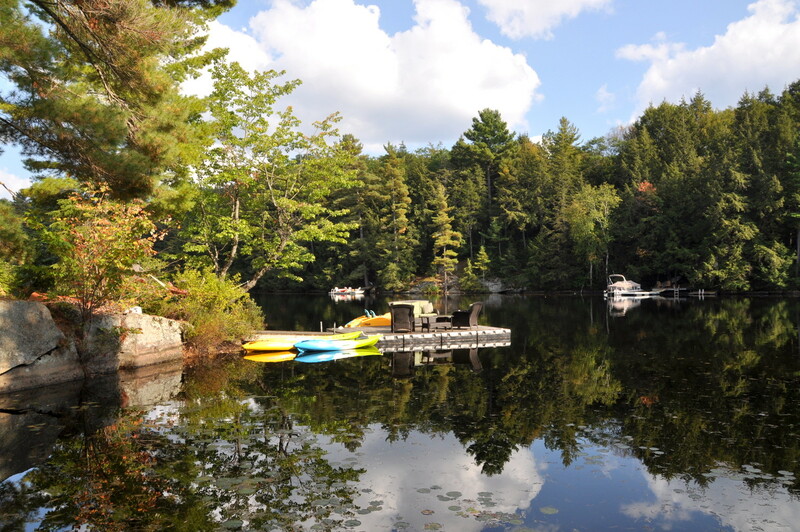 There is sun on the dock from 10:00 am to 5:00 pm. 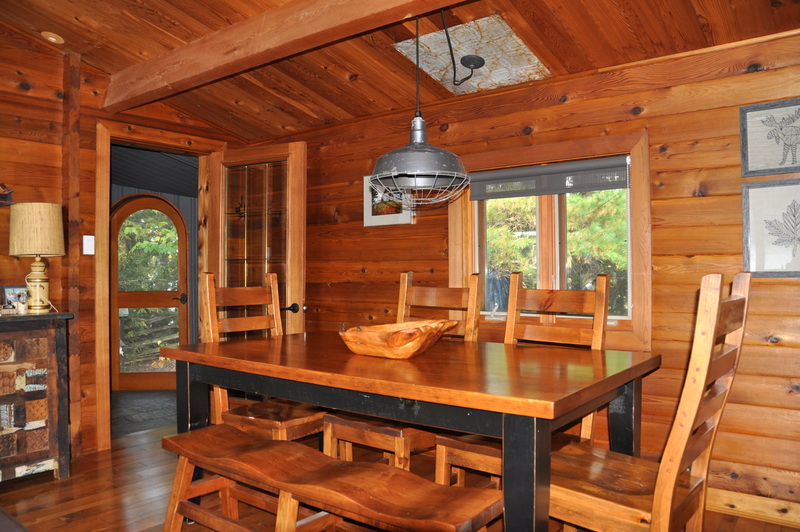 From the moment you arrive, you will find this eclectic cottage endearing to those seeking the solitude provided here. 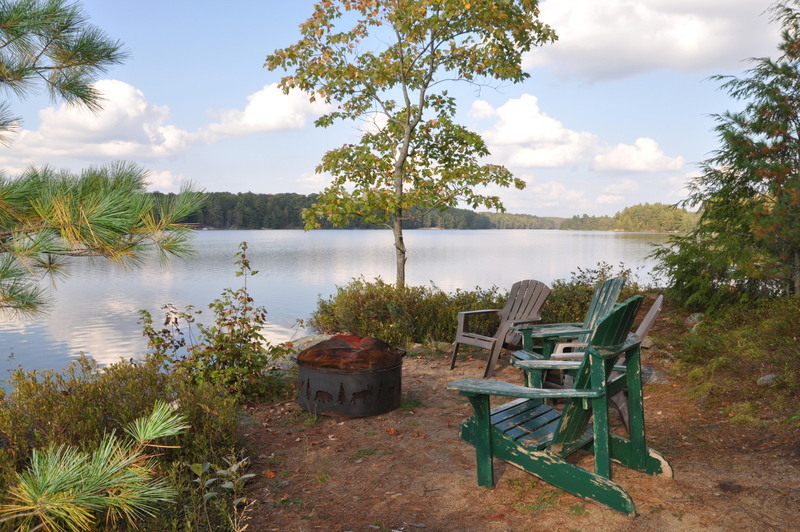 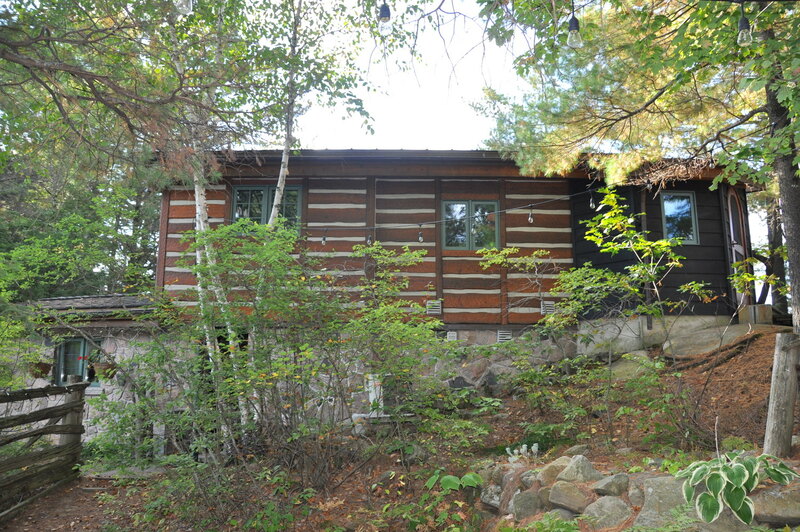 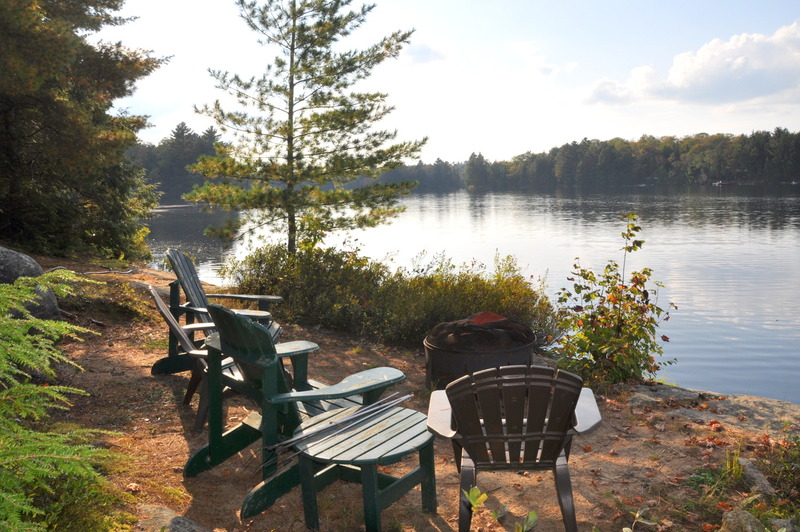 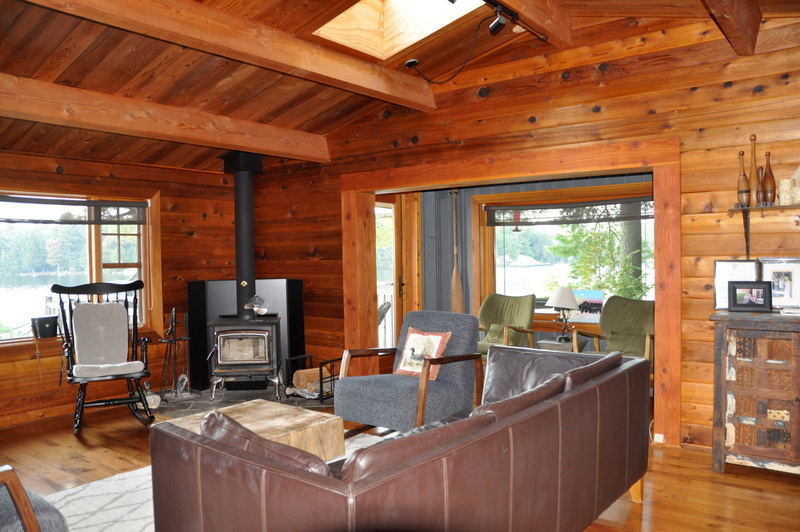 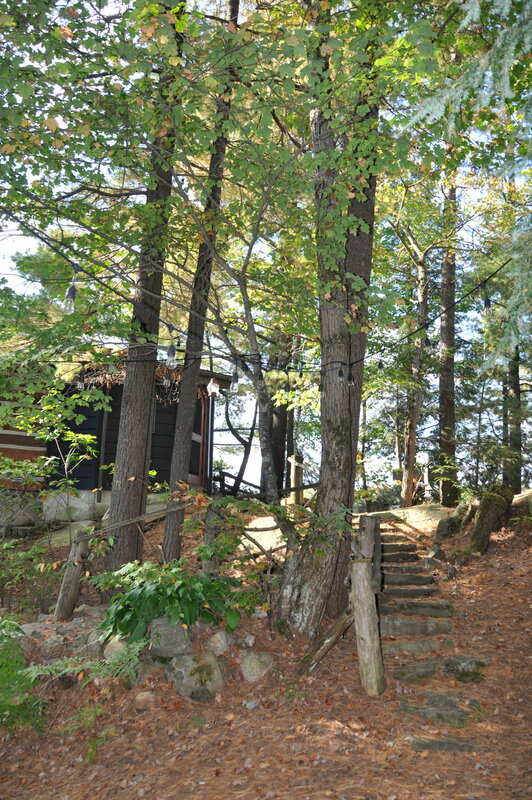 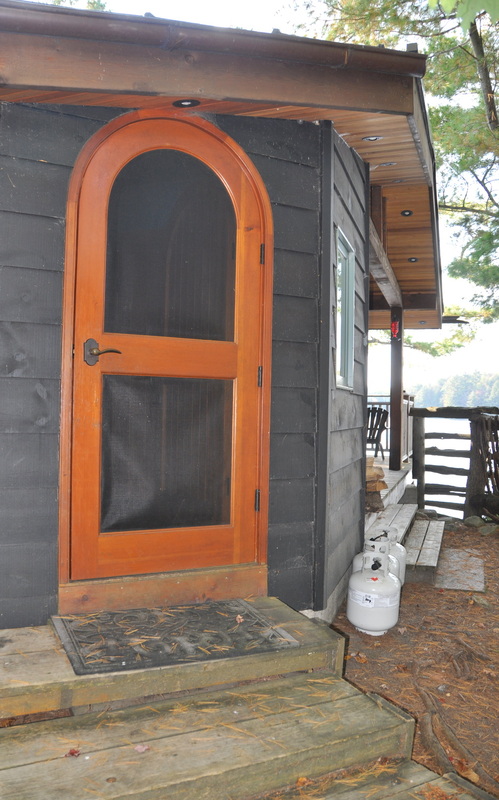 The multiple lakeview sitting locations surrounding the cottage provide the perfect spots to sit back and relax, as the wind whispers through the tall pines, and the stress free environment allows you to recharge your inner self. 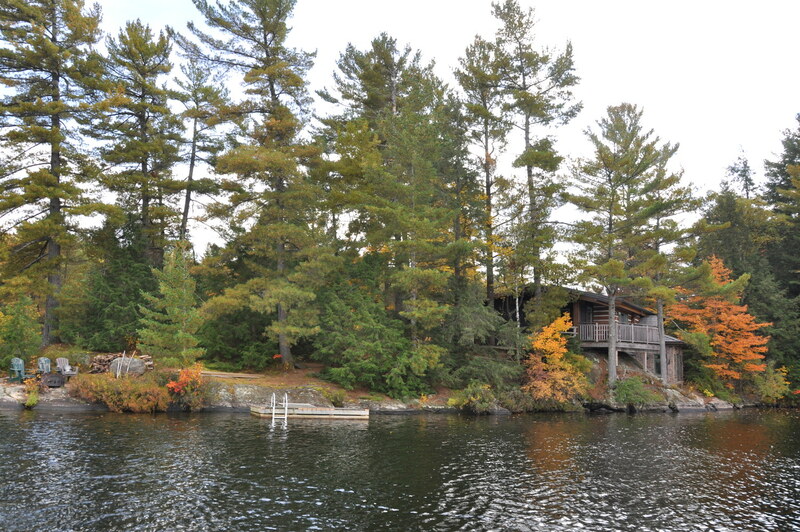 Mostly deep water surrounds this point of land, and the swimming in the spring-fed lake is fabulous. 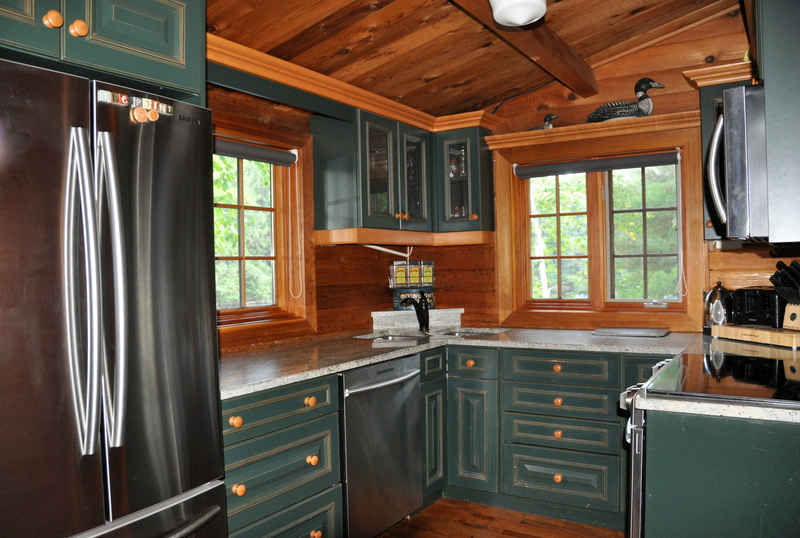 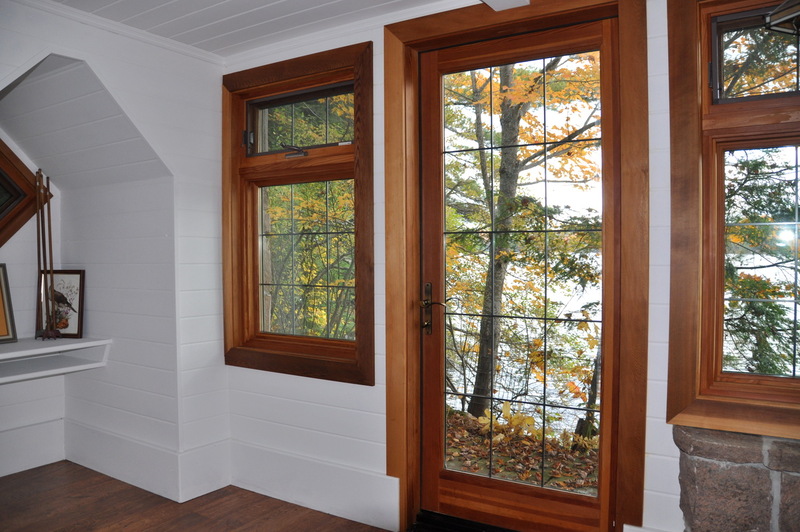 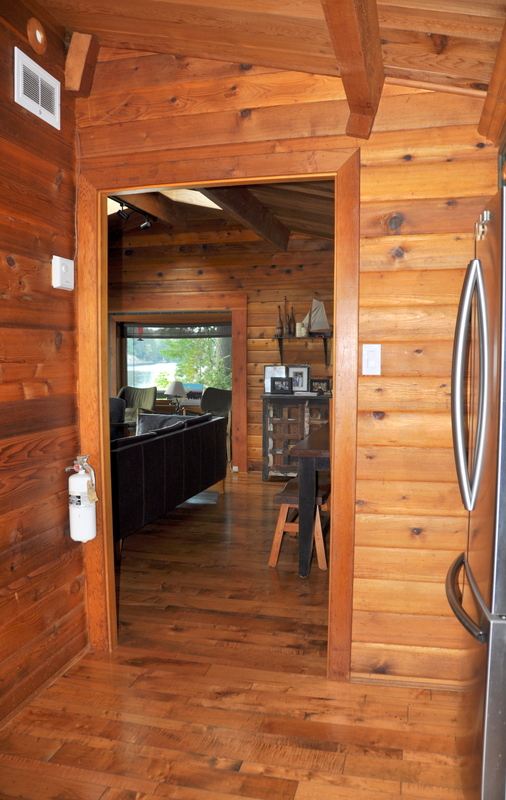 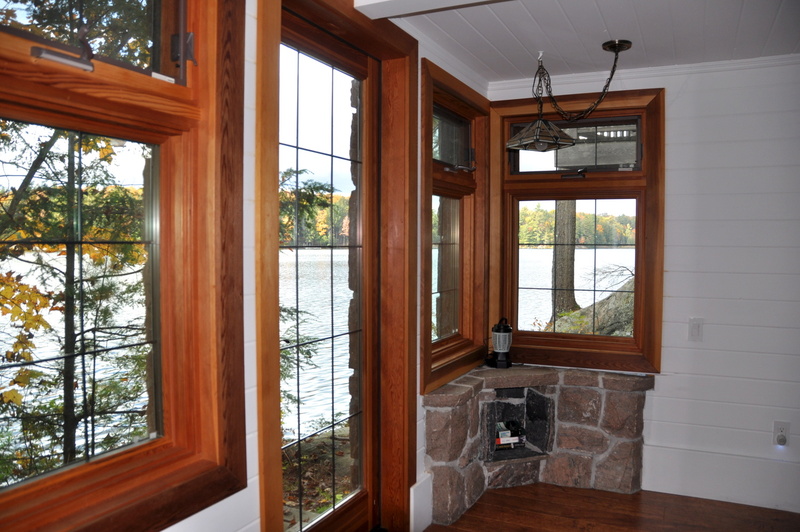 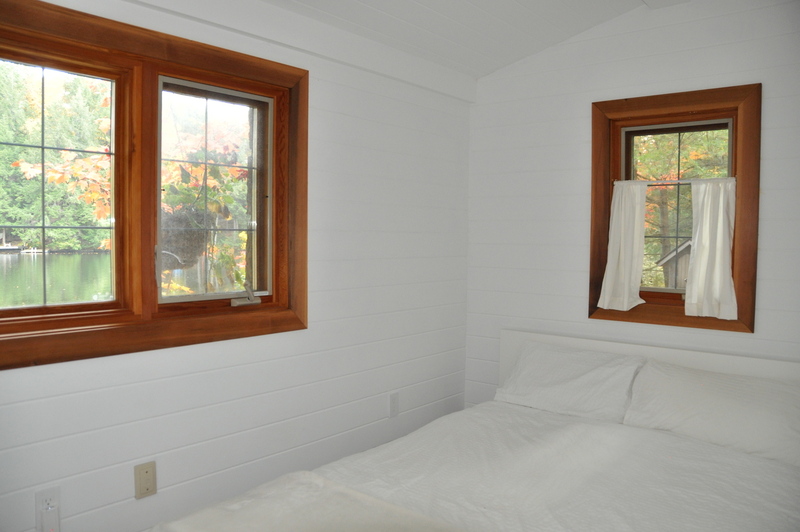 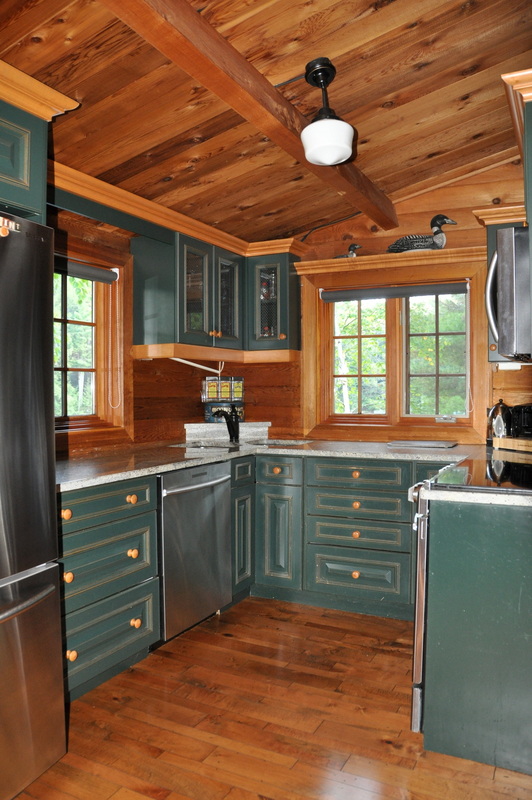 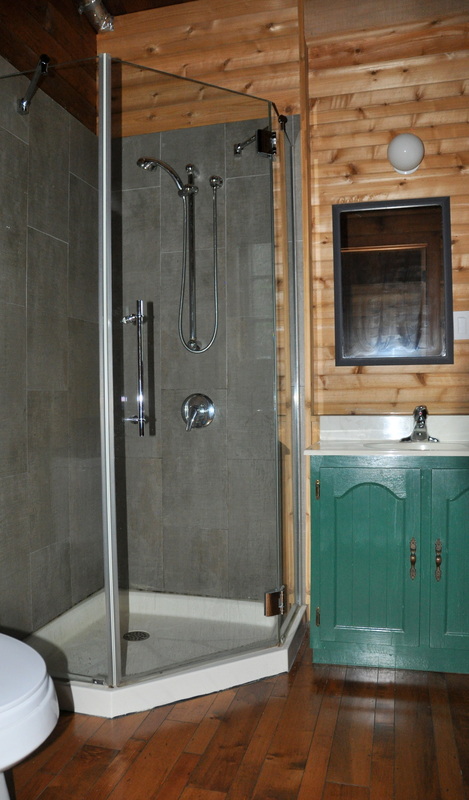 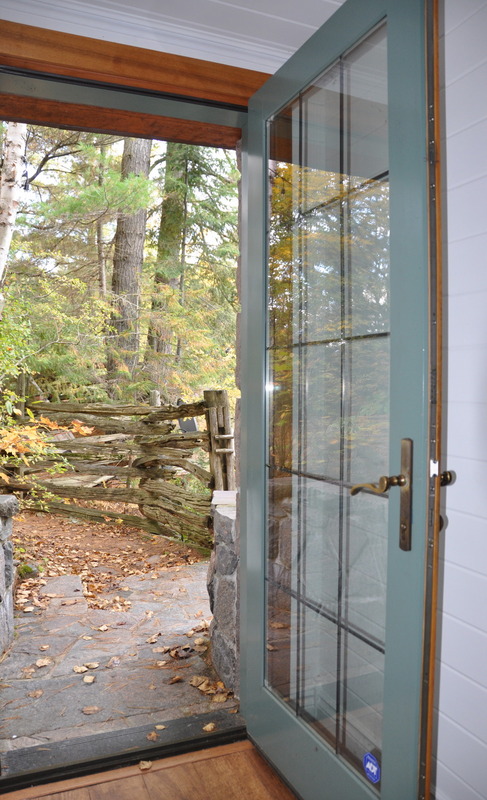 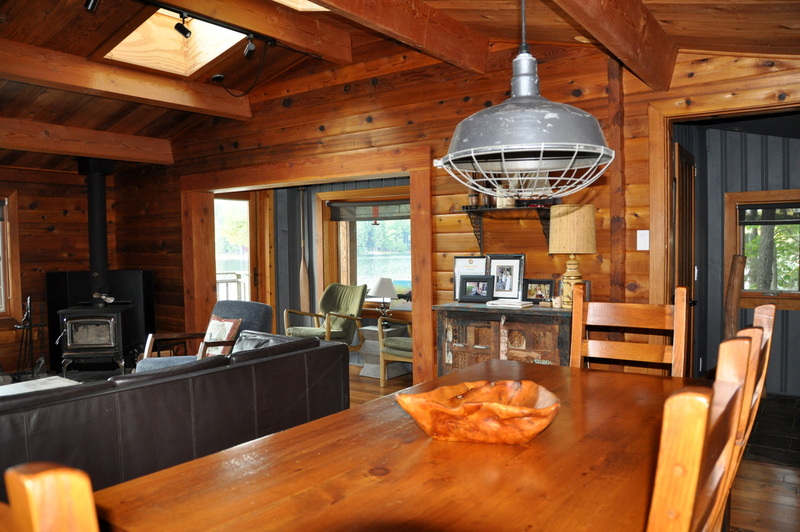 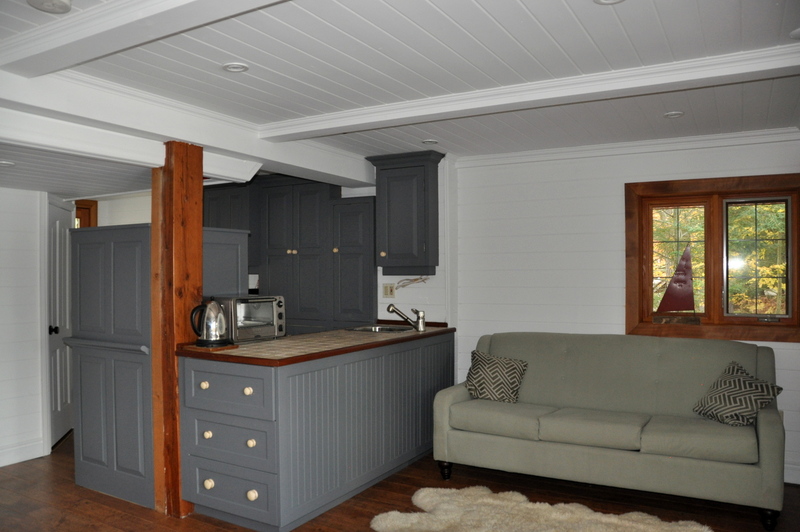 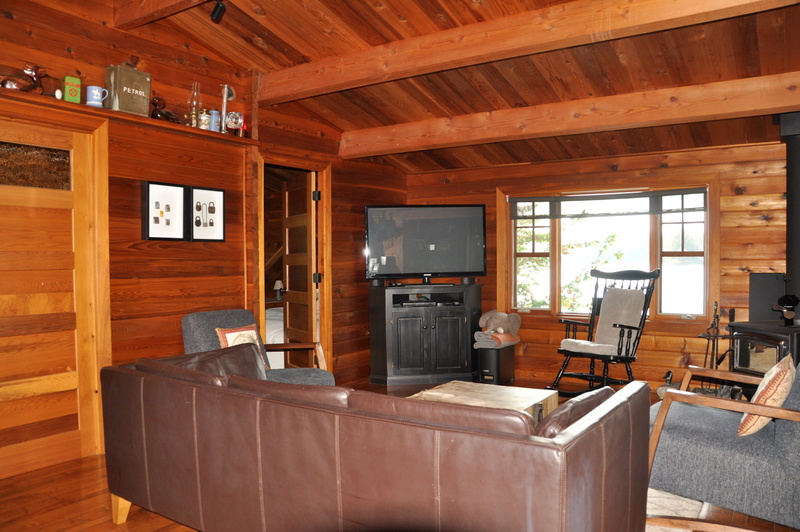 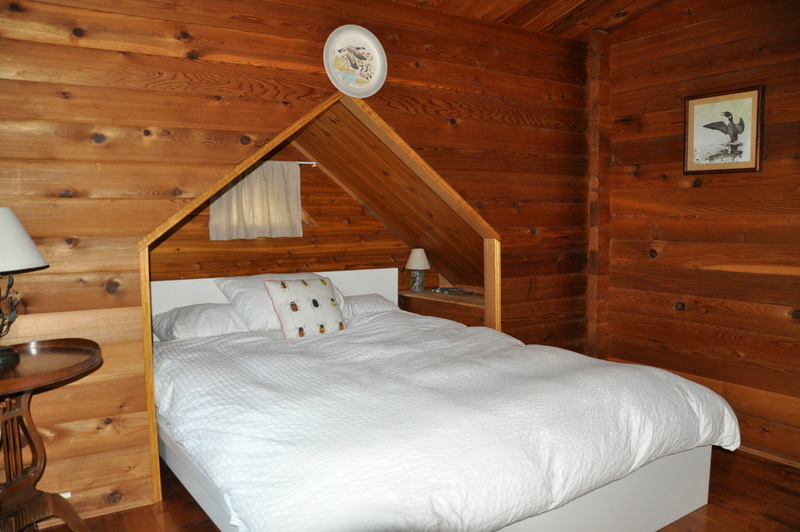 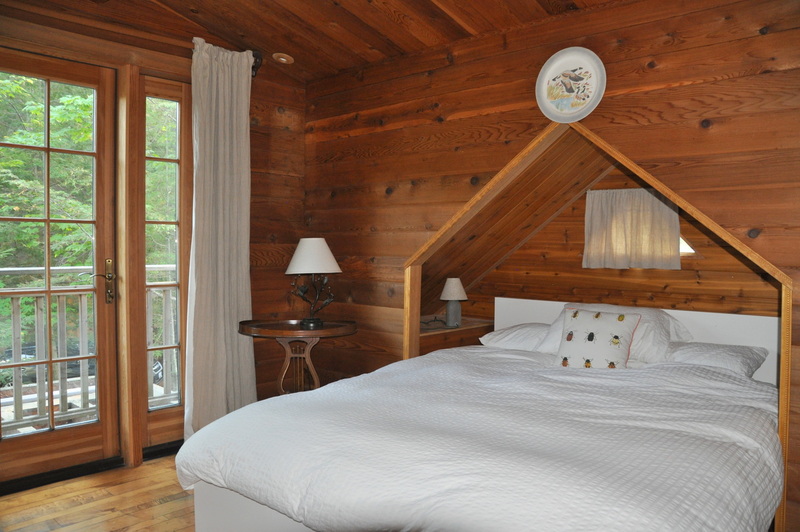 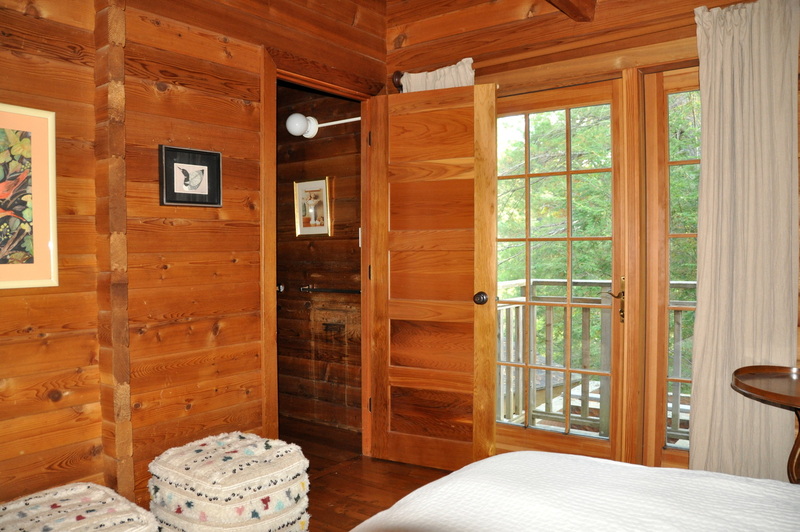 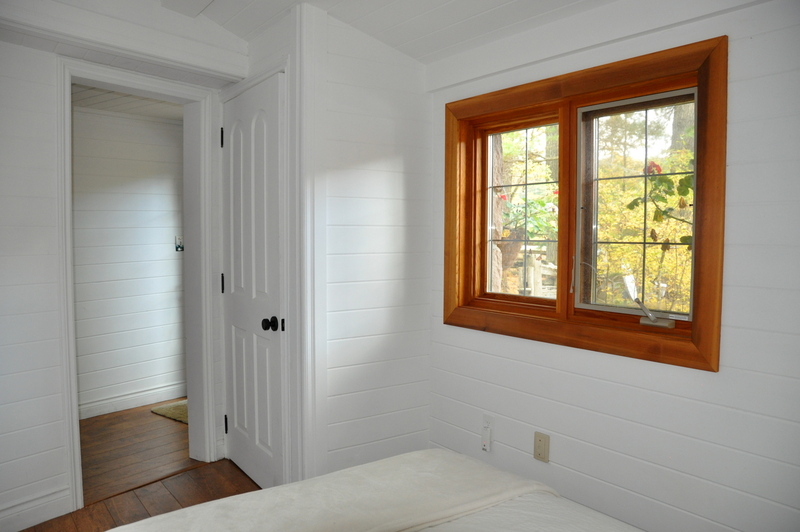 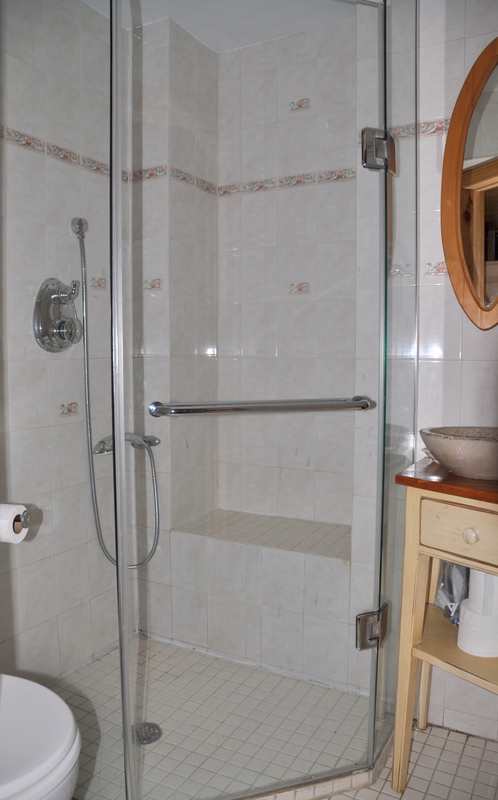 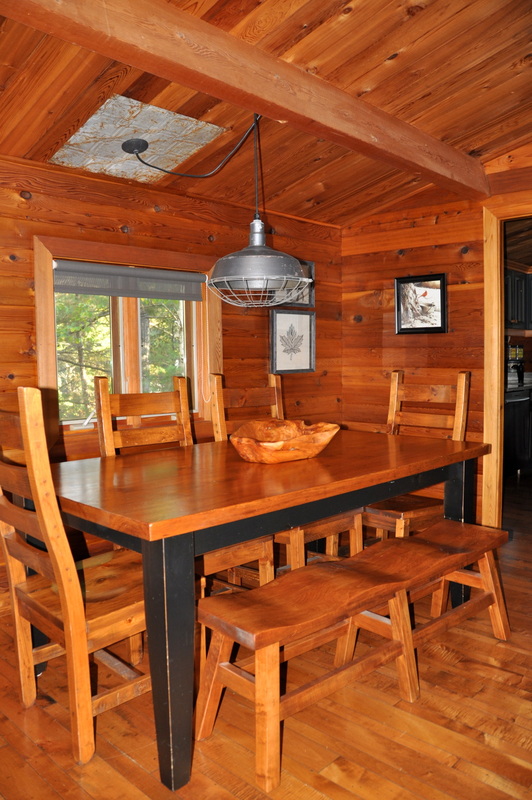 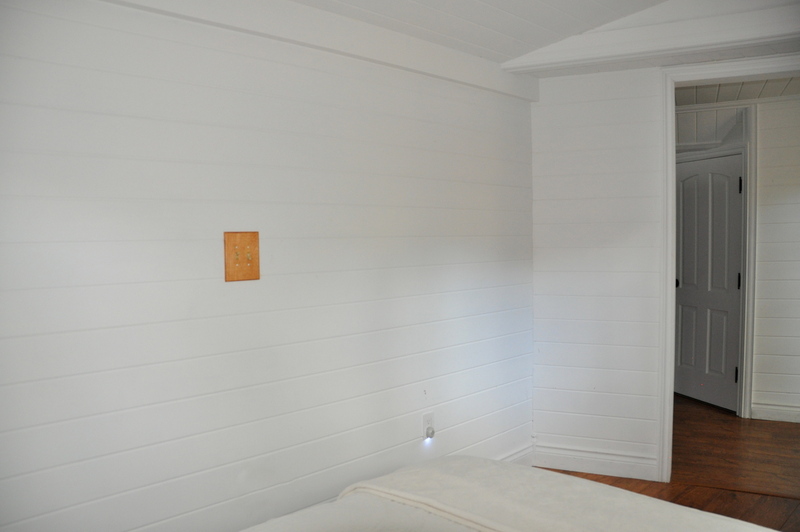 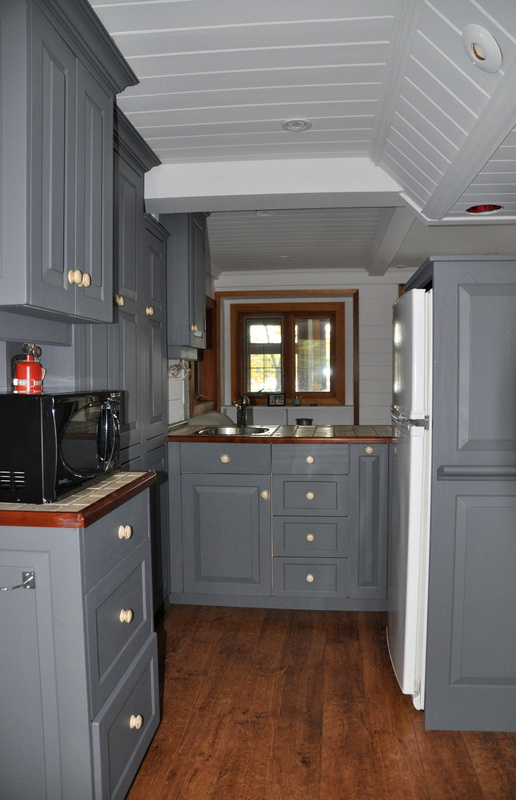 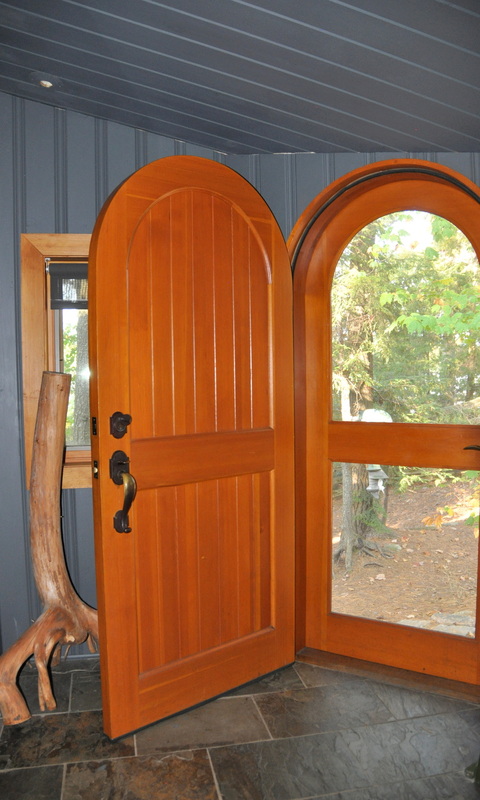 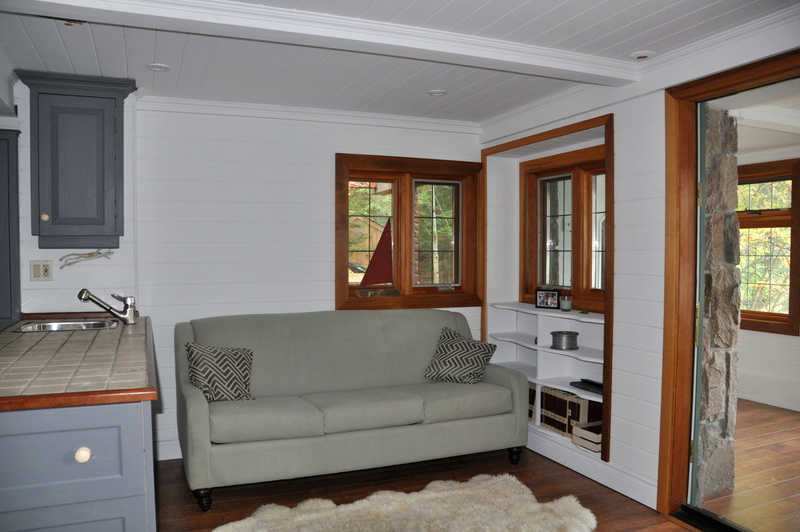 Inside, you will find true cottage charm yet modern amenities, comforts and elegance. 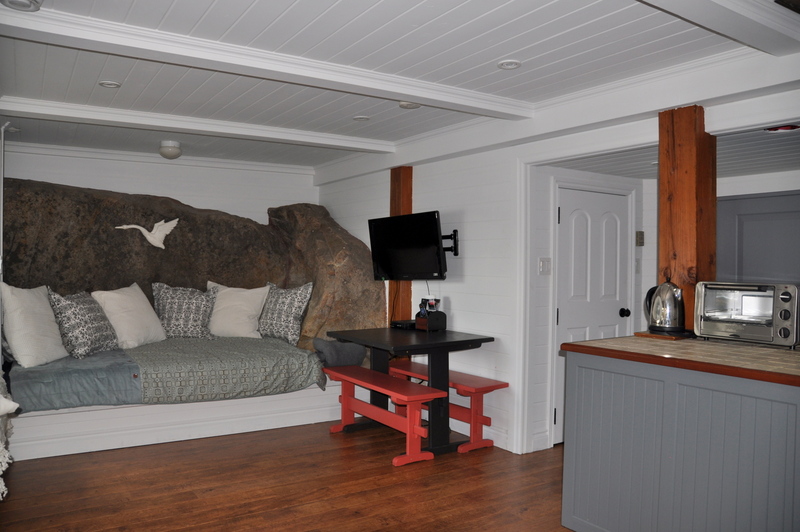 On the main level, you'll find a full kitchen, a dining and living room, along with the master bedroom, a 3-pc ensuite and a small private balcony. 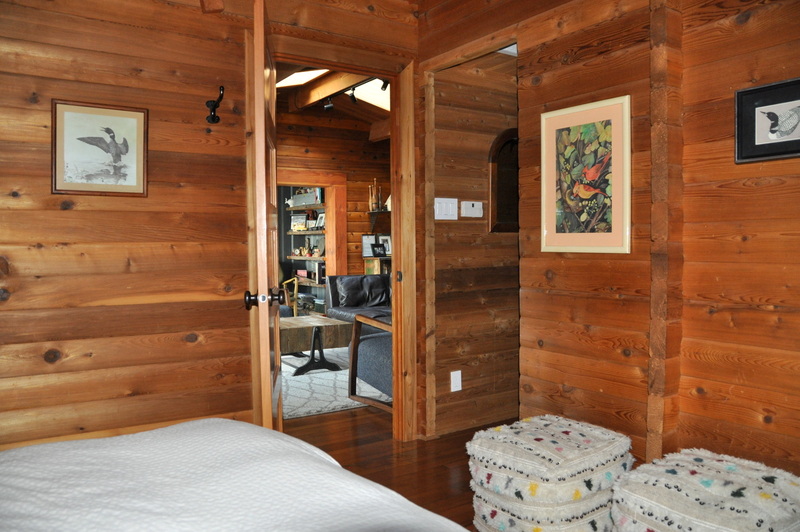 On the lower level with separate entrance, you'll find the second bedroom, a partial kitchen, a 3-pc bathroom and a living room. 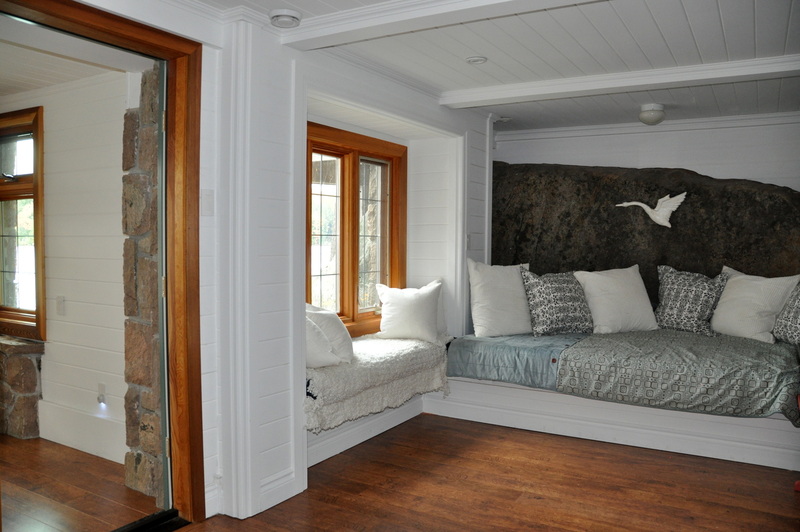 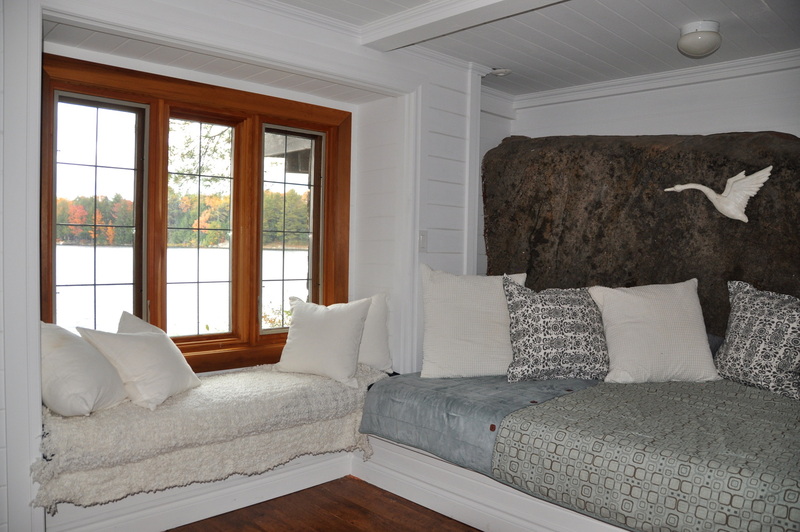 There are also a couple of day beds built into the window and along the decorative stone wall. 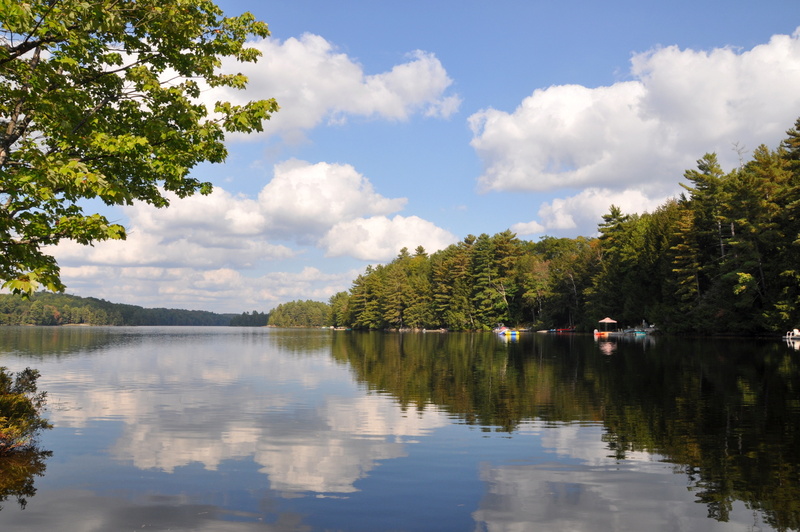 Bigwind Lake is crystal clear as it is spring fed and one of the cleanest lakes in Muskoka, fabulous for swimming. 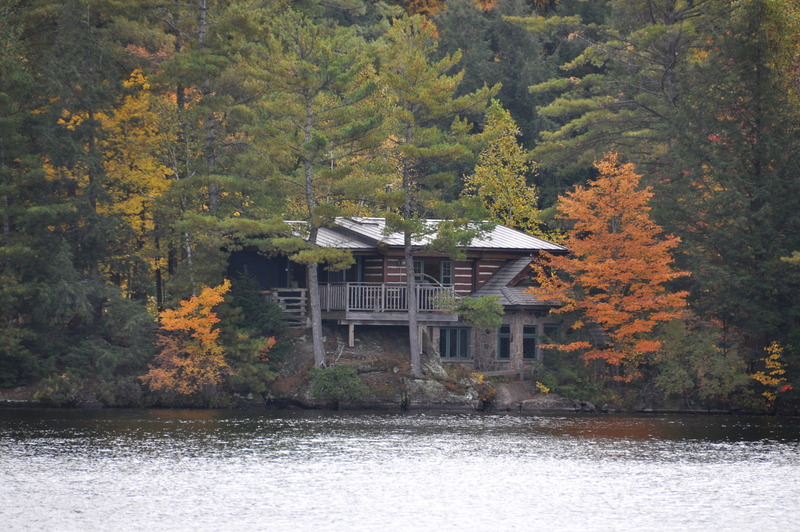 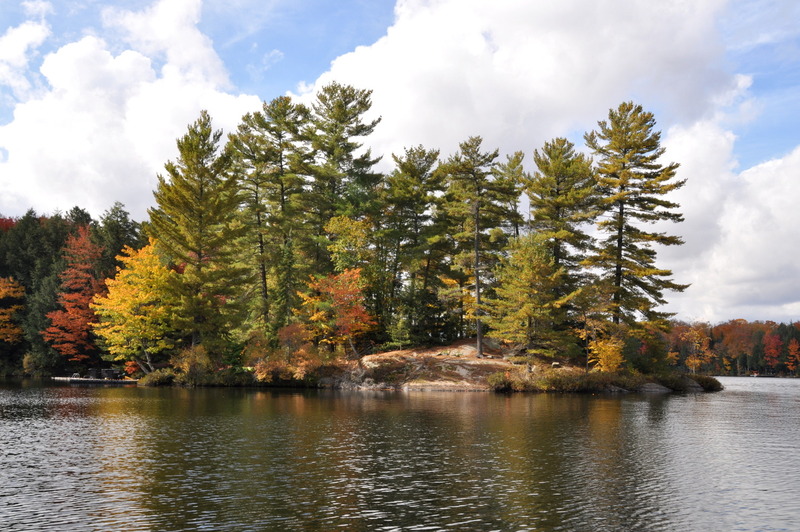 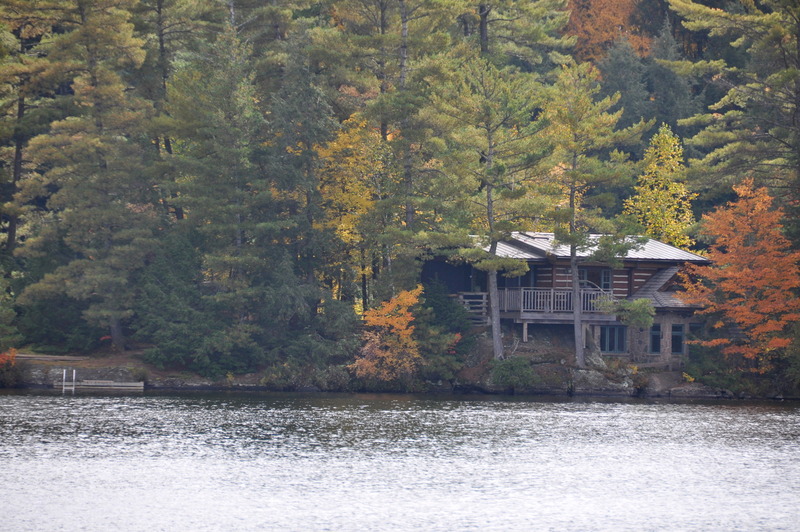 Two -thirds of the lake are Crown Land and Wilderness Park and completely uninhabited and therefore fewer cottages than is found on the larger Muskoka Lakes. 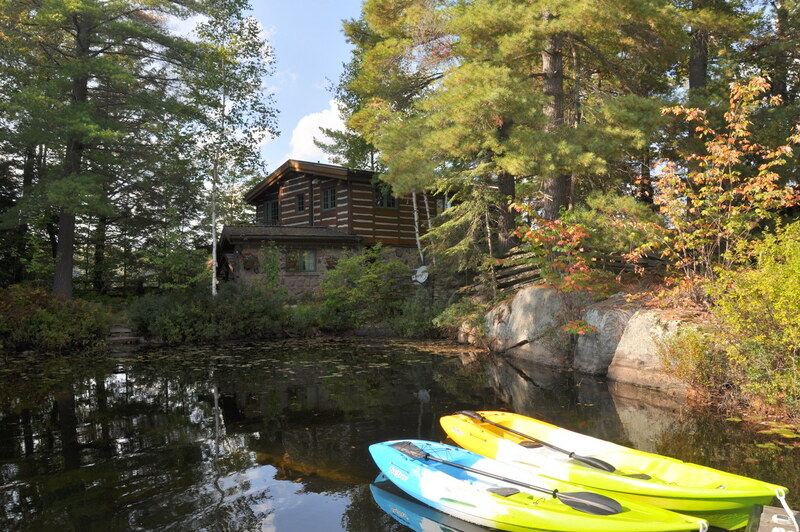 With a canoe and a paddleboat at your disposal, be sure to get out on the water and explore the lake. 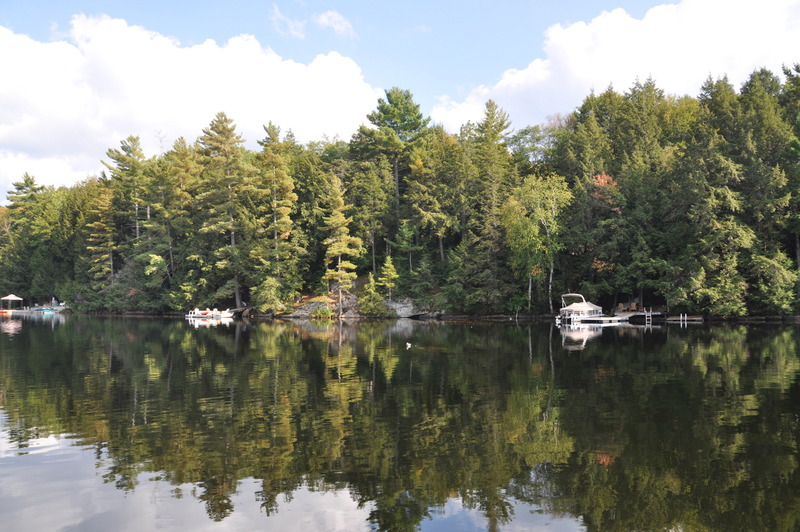 With very little powerboat traffic due to the 10 HP restriction, this is truly one of the best Muskoka Lakes to paddle on and enjoy nature and serenity. 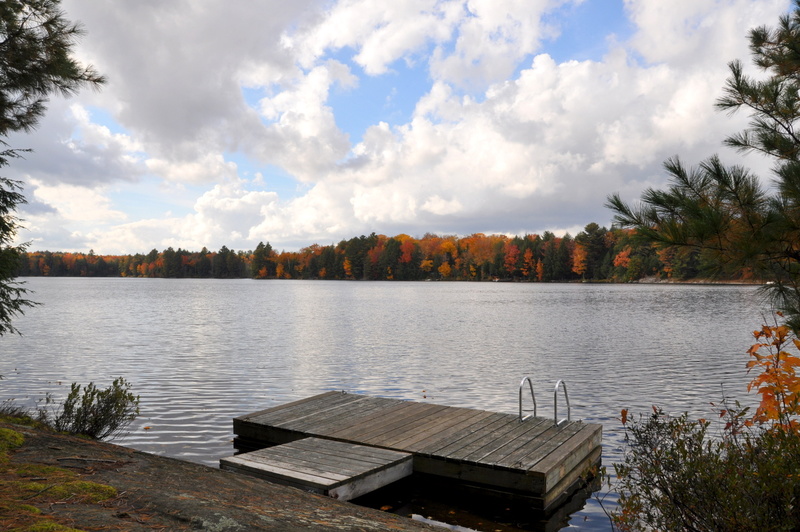 For fishing enthusiasts, you can find an abundance of fishing spots on the lake populated with Lake Trout, Speckled Trout, Small Mouth Bass and Perch. 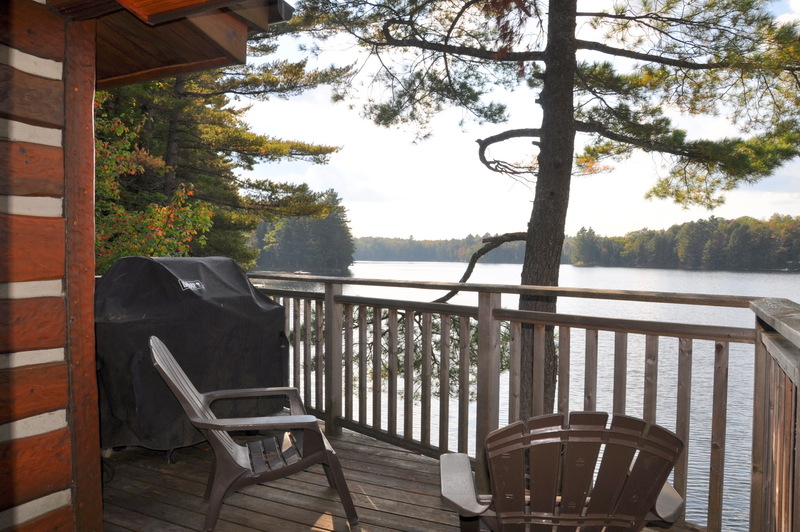 Come and enjoy the cottage life where time seems to slow down and life is good! 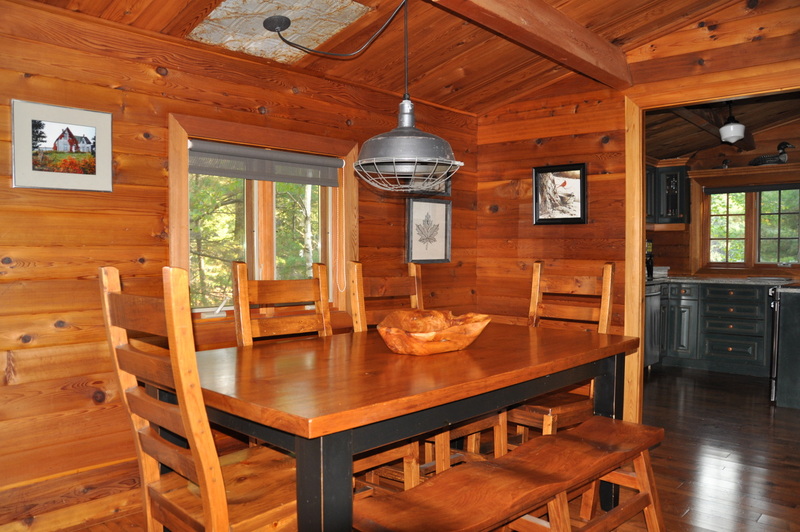 for your convenience, there will be a mandatory cleaning fee of $125 added to your bill so that you don't have to do a detailed cleaning yourself (you are still required to leave the cottage neat and tidy as well as remove all your garbage and recycling). 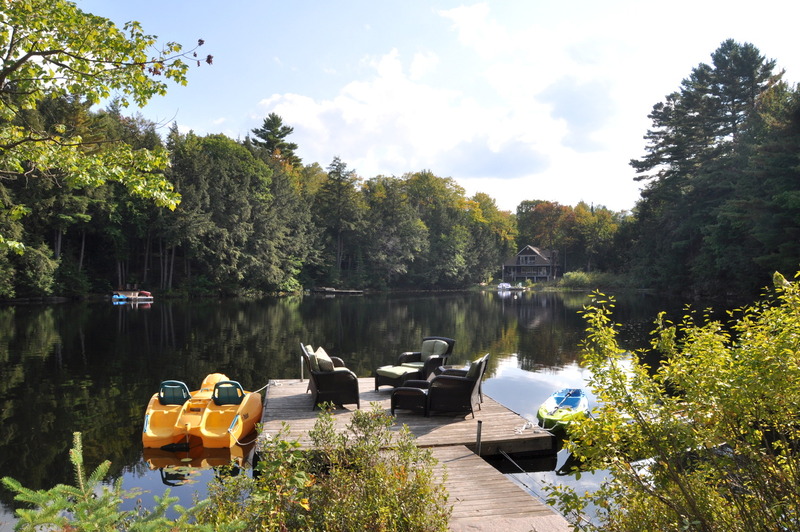 LOCATION: About 2 hrs from Toronto. 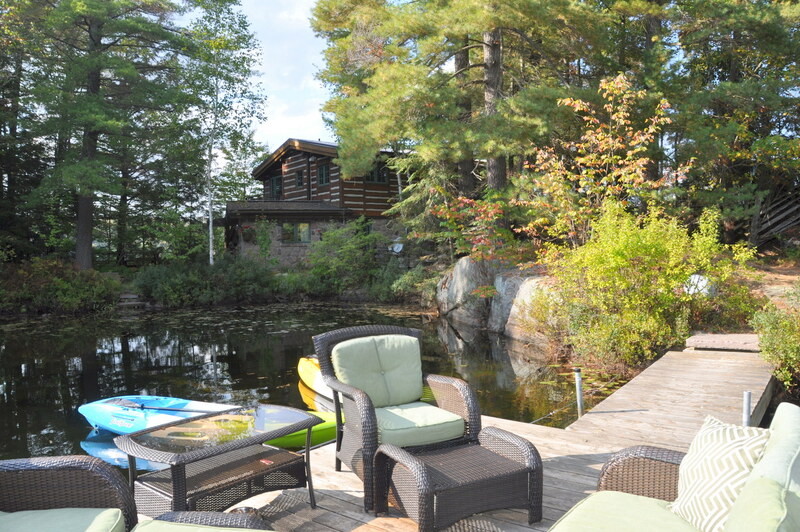 About 20 minutes to the town of Bracebridge for most all amenities. 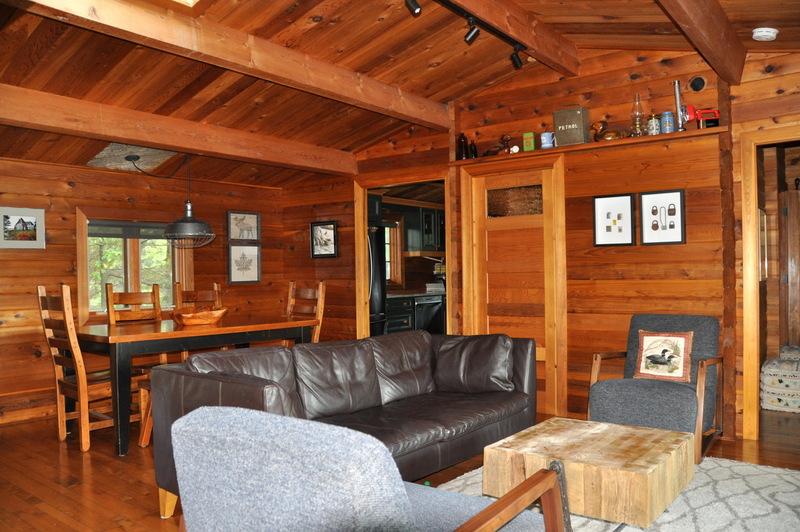 Pet on approval (sorry no cats), no smoking, maximum number of occupants is 5, bring own linens and towels, bring own drinking water, noise restriction after 11 PM. 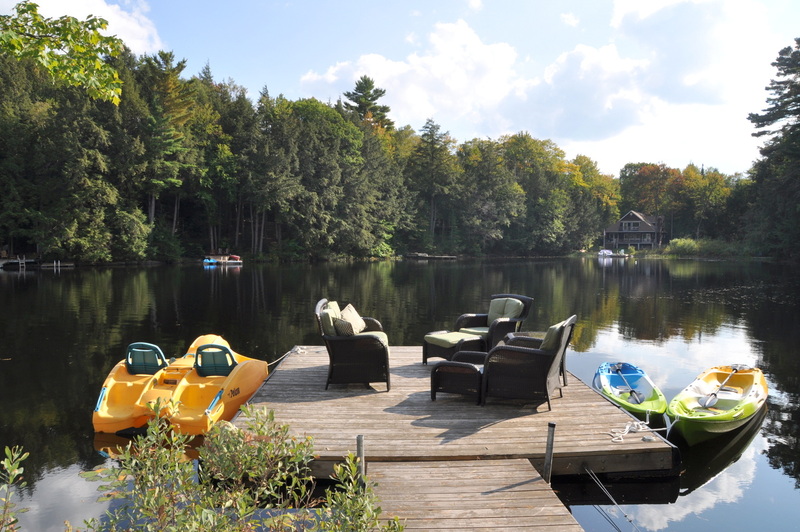 Note: 10hp restriction and NO PWC's. 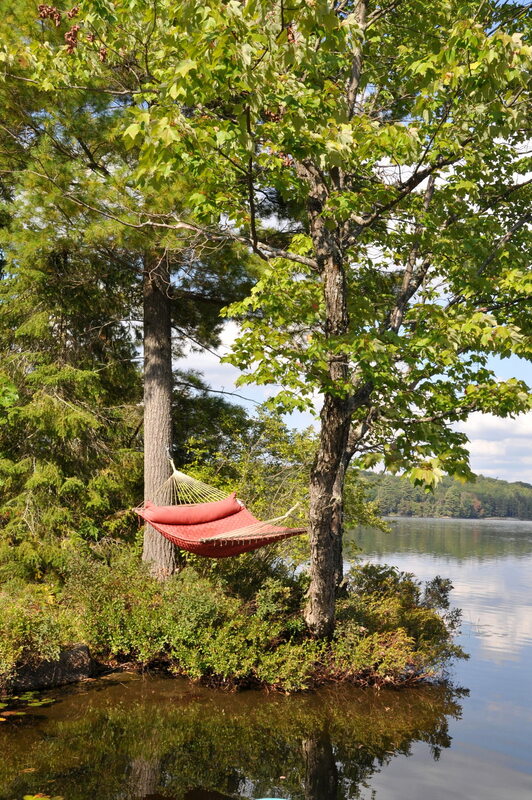 Due to the landscape and the deep water at the shoreline, it is not recommended for those with small children.